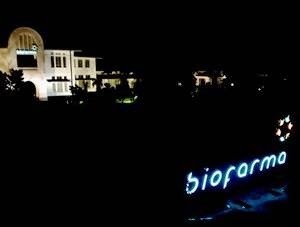 In term of financial performance, PT Bio Farma (Persero) managed to recorded good performance in the business year of 2015.According to PT Bio Farma (Persero) Annual Report 2015 as cited by JobsCDC.com, Bio Farma reported total net sales of Rp 2.34 trillion in 2015, an increase of 14.77% from Rp 2.04 trillion in 2014. Total net income went up by 15.18% from Rp 582.19 billion in 2014 to Rp 670.59 billion in 2015. Minimum Background in Diploma or Bachelor Degree (D3/S1) from any field. Have experience in the same field (Medical Representative). Have own vehicle and possess driving license. JobsCDC.com now available on android device. Download now on Google Play here. Please be aware of recruitment fraud. The entire stage of this selection process is free of charge. PT Bio Farma (Persero) - Recruitment D3, S1 Medical Representative Bio Farma July 2017 will never ask for fees or upfront payments for any purposes during the recruitment process such as transportation and accommodation.